We’d love your help. Let us know what’s wrong with this preview of Yoga and Ayurveda by David Frawley. To ask other readers questions about Yoga and Ayurveda, please sign up. This book probably accurately conveys the intricacies of the philosophies. However, I had a hard time with the content. It was a lot of description of systems that felt like it was meaningless to me. Lots of details but very little identification with any of the information. Maybe this view just isn't for me, but I feel like something that has applications should be able to describe the experiences of a practice in more detail and reveal the system details in that context of application. The topic of Ayurveda has been mentioned on my blog a few times, but this is the first book I’ve read + reviewed with a major focus on the topic - exciting! I’m glad to say that David Frawley’s book doesn’t disappoint. As you can gleam from the title, this book isn’t purely about the medical science of Ayurveda, but specifically Ayurveda’s relation + inherent connection to yoga. Ayurveda is the Vedic science of healing for both body and mind. Yoga is the Vedic science of Self-realization that depe The topic of Ayurveda has been mentioned on my blog a few times, but this is the first book I’ve read + reviewed with a major focus on the topic - exciting! I’m glad to say that David Frawley’s book doesn’t disappoint. Ayurveda is the Vedic science of healing for both body and mind. Yoga is the Vedic science of Self-realization that depends upon a well-functioning body and mind … Yoga and Ayurveda are sister sciences that developed together and repeatedly influenced each other throughout history. Frawley does a wonderful job of introducing the true purposes of Yoga and Ayurveda, as well as how they work in-tandem at all times. He does a great job of introducing Sanskrit terminology without it being overwhelming. The first few chapters may seem like a huge cascade of information + it can take some time to absorb how it all links together, but Frawley is quick to reference other sections of the book that are helpful. As someone who has studied/read about/practiced both Yoga and a bit of Ayurveda for over a decade, Frawley’s book is a highly appreciated addition to my bookshelf - the type of book I’ll happily read + reference again + again. If this was the first book I’d ever read about Yoga, I’d probably be a bit confused and overwhelmed, but if you know a little bit about Yoga (or Ayurveda) + would like to learn a bit more about Ayurveda (or Yoga), this is the book to start with. An awesome overview with a wealth of information about the holistic sister sciences, Yoga and Ayurveda. I love the many topics covered, especially the yoga practices recommended for the three doshas (mind/body types)! Being "vata", I could definitely use a focused practice and found the advice offered very helpful. Way too esoteric for me. The concepts aren't that difficult, but Frawley made them more confusing and elaborate than they need to be. I'll use this for reference, but if you're looking for a basic overview of ayurveda, this is not a great choice. Lots of good information (if you're into this sort of thing), and I'd be inclined to rate it highly, except for a nagging doubt about underlying "scholarship". Namely, the chapter on yoga asanas contains a numbers of asana descriptions, many with accompanying drawings. Unfortunately, the drawings are clearly cribbed from the corresponding photographs in the book Yoga the Iyengar Way by Mehta, Mehta and Mehta. Moreover, the illustrations' source book is not included in the bibliography. This is ex Lots of good information (if you're into this sort of thing), and I'd be inclined to rate it highly, except for a nagging doubt about underlying "scholarship". This is not a book for people unfamiliar with or new to the subject matter, but for people with a little background already, David Frawley provides an extraordinary treasure-trove of information. And beyond just acquiring knowledge through his books, if you read this carefully, it can help open up your own deep intuitive knowledge. This is my 3rd or 4th book on Ayurveda. It is thorough; discussions of mind, body are indepth. Also, discussions of diet, exercise, yoga poses, meditation as appropriate to each body type. This book leaves the reader with a clear understanding of the relationship between yoga and ayurveda. The more I read about gunas, doshas, tejas, ojas, nadis, etc, the more I begin to understand. Yoga and ayurveda are very complex which is what one would expect of sciences that are thousands of years old. My favorite chapter was that on asanas because that is what I understand the most. It all makes so much sense! Borrowed from a friend, read while recovering from 'flu, so not one of my deeper investigations of philosophy. Interesting, but very prescriptive, and as I don't adhere to faith in 'invisible friends', a lot of the insistence that physical health must be aided in Ayurveda by worshipful practice just annoyed me. Some very useful ideas about diet and yoga practice, which I may follow up in further reading. Excellent book about the compliments of the health science of ayurveda and the consciousness science of yoga. I was re-aligned towards higher consciousness at Bhakti Fest OMmersion especially from the classes of Mas Vidal. This book is packed with information I'm using in my yoga classes, pranayama, mantra, meditation and asana suited for the different doshas. This was helpful, but a bit abstract in some ways. I think a better editor would have made this book's language more approachable for the average person. I'm looking for more by this author because he's an expert but I'm not sure if I should. The ayurvedic principles I learned from this book improved my yoga practice and overall well being emmediatey. This book is packed with information that leaves you wanting to learn more about this deep and useful practice rooted in the Vedic tradition of India. I read this book for my book report for YTT 200. 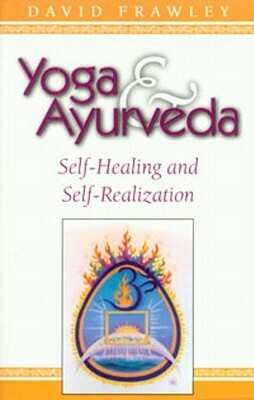 This book introduced me to the world of Ayurveda, which I did not have much knowledge before. It also helped me to understand how the knowledge of Ayurveda can help in practice of yoga as well as teaching yoga. First few chapters were hard to read. I'm glad I stuck with it. There is a lot if useful information here that I'm sure I will refer back to sometimes. A really good introduction to Ayurveda and how it can support a daily yoga practice. I don't often read books like this, but was very impressed. At first it seemed completely inaccessible, however this is officially now one of my "go-to" books on my yoga shelf. The sections on the doshas, the gunas and mantra were particularly enlightening. Love the book, easy to digest and covers an incredible amount of information in a tight package. This book has a lot of great information, but it reads like stereo instructions. And it's not even that useful, since the book isn't actually telling you how to do anything. It's simply giving information. "This does this, that does that," over and over again. There's barely even any diversity in the language. It is an excellent book, with lots of good information about yoga and Ayurveda, it took me some time to finish it. This is not a book for people unfamiliar with or new to the subject matter, but for people with a little background already. Excellent and clear guide to yoga and ayurveda. The book is logically structured which makes these otherwise technical areas easy to understand and apply in one's life. I am keeping this one!